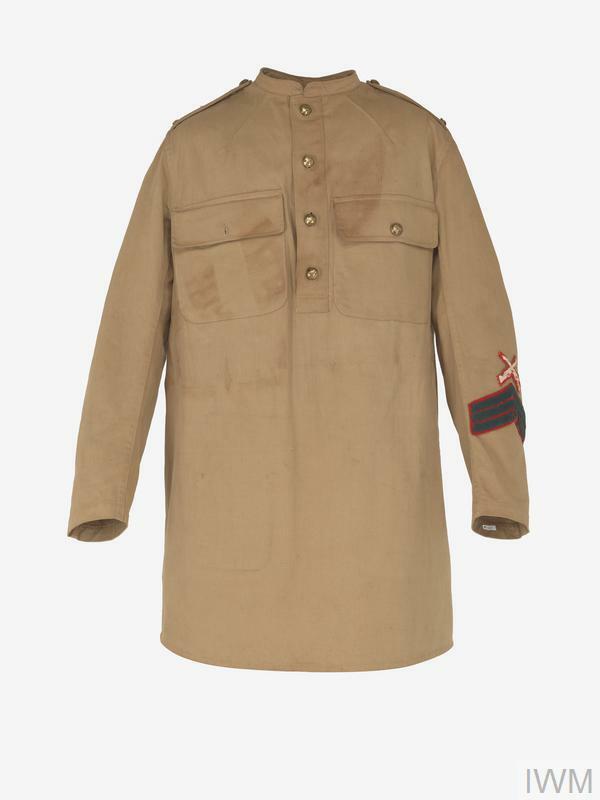 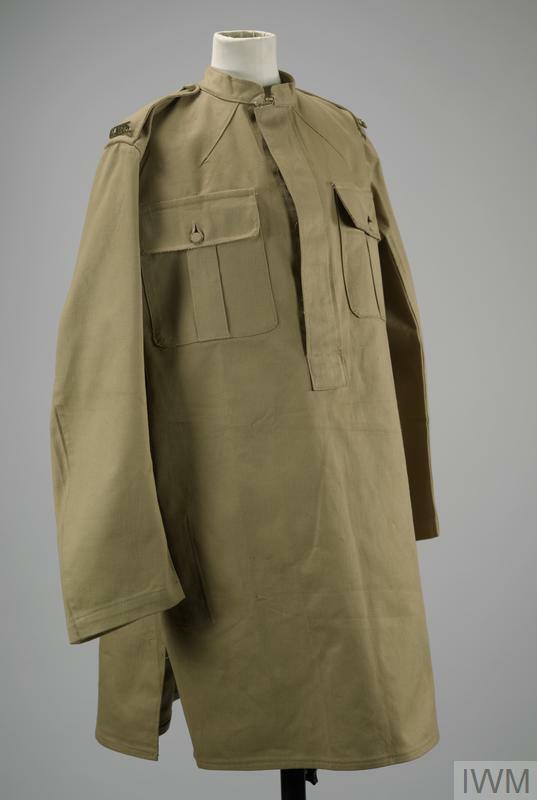 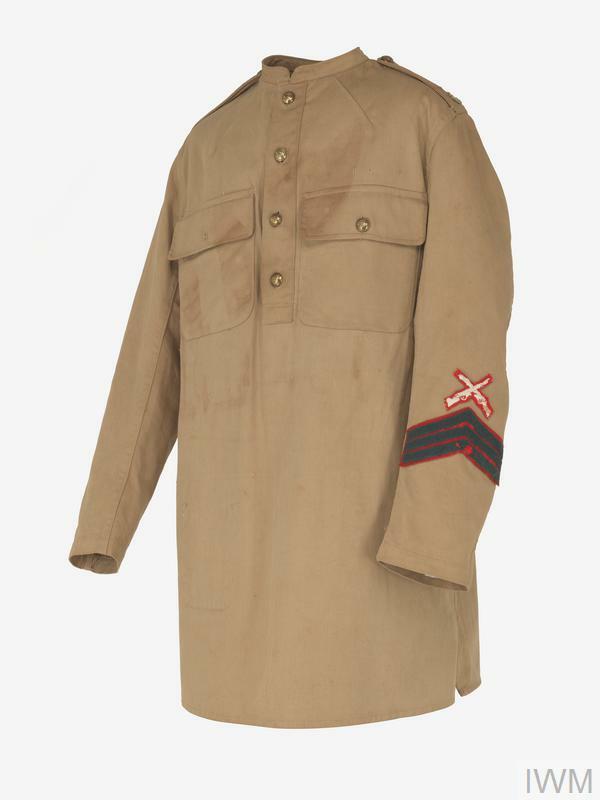 tunic khaki drill shirt-like tunic; features a stand collar and has single-breasted opening to the chest, secured by four brass buttons. 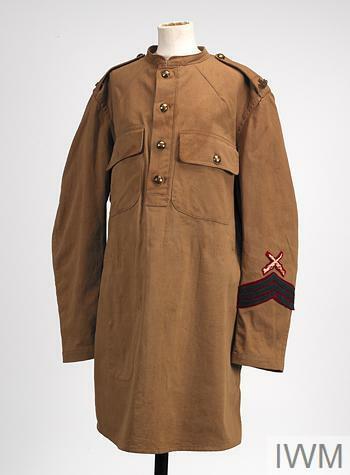 There are two chest pockets with flaps, secured by brass buttons and open patch pockets to the lower thighs. The garment reaches almost top the knees and is worn outside of the breeches. 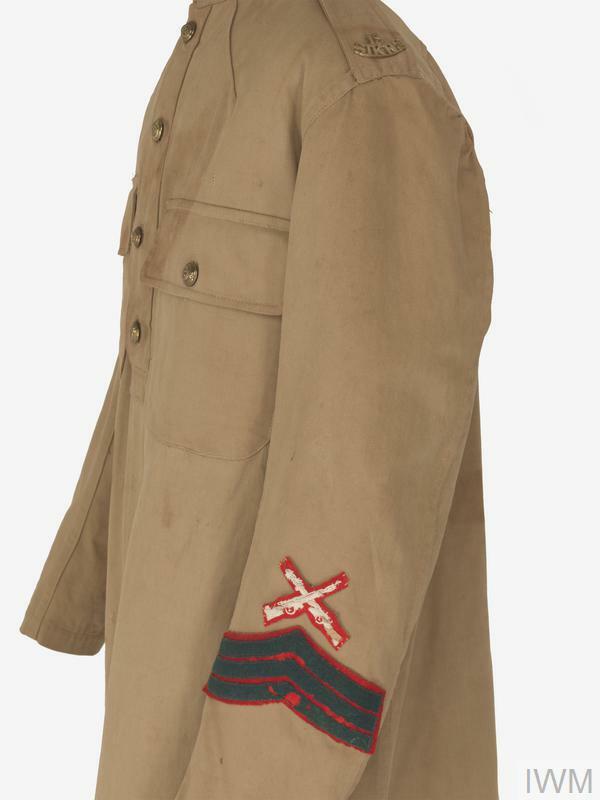 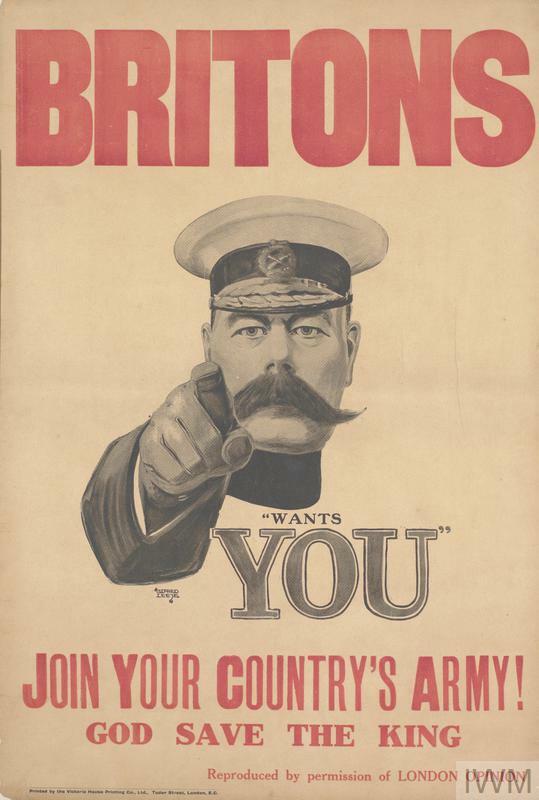 Epaulettes are secured by brass buttons and feature regimental insignia in the form of brass shoulder titles. 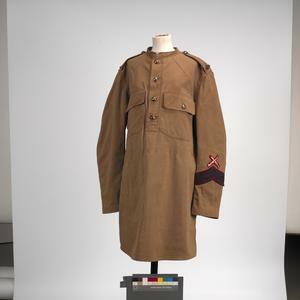 The sleeves are worn long and are fastened by brass buttons at the cuffs. 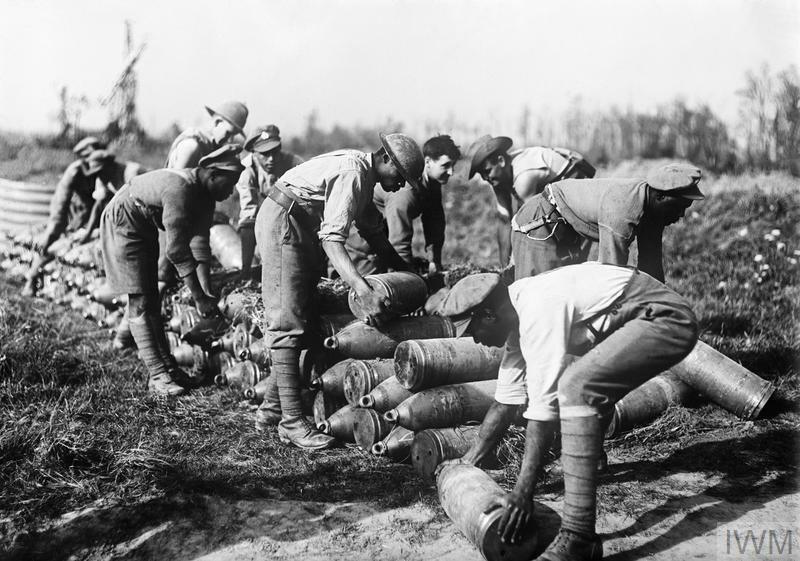 The shirt-like kurta was the distinctive feature of the uniform of the Indian Army Sepoy serving in the First World War.